Only the RUMlog application file itself was changed. 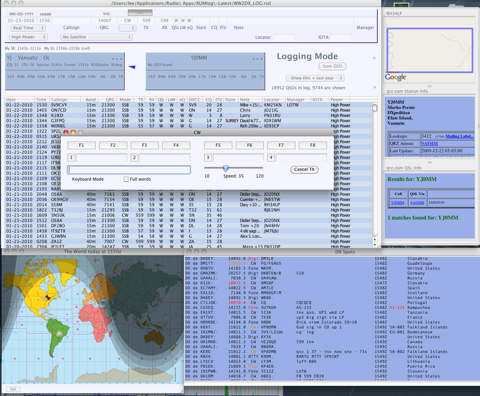 RUMlog is a logging, QSL handling and printing tool, especially made for the short wave DXer, made by a DXer. Basic logging features are included for the higher bands up to 1.2 cm and for satellite. RUMlog can handle an unlimited number of logs and an unlimited number of QSOs per log. An user editable, all time country database is used for automatic DXCC recognition. Save your multi media data within the log book file using drag and drop. RUMlog includes calculations, routines, tables and an interactive gray line map to support the user in gray line dxing. Using RUMlog you can print QSL card and address labels on your favorite label size and manage your incoming paper QSLs. The Logbook of The World (LoTW) and eQSL are fully supported, and you can create files for the Global QSL service very quick. You can get different statistics for paper- or LoTW QSLs. It’s just a mouse click to upload or download new QSLs to/from eQSL or LoTW. RUMlog can use the ON6DP QSL manager database to inform you about managers or addresses and it can build and use an own manager and IOTA database, extracting the information from dx-cluster spots. Provisions are made to query the qrz.com or HamQTH.com online library. Save the retrieved data into the Mac’s address book. RUMlog keeps you up to date about worked, confirmed or missing DXCCs and provides you with country lists and detailed statistics. Quick log searches or more detailed log queries and export routines are possible. RUMlog can establish multiple dx-cluster connection via the internet or to your local skimmer. A simple terminal is integrated for a Packet Radio connection. RUMlog will separate DX-spots and alert you via e-mail or Growl when there is a ,new one’ DXCC or IOTA spotted. Multiple interactive band maps virtualize activities on the air. 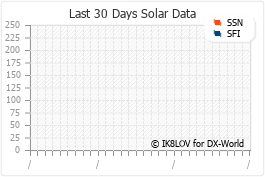 LoTW users are identified in dx-spots. RUMlog can interface with two transceivers, setting the main parameter on your TRX from the logbook or vice versa. Kenwood, Elecraft, Yaesu, Icom and TenTec transceivers are supported. More controls are provided for the Elecraft K3. RUMlog has import and export functions to allow exchange of log data in different formats to other logging tools. Except the DXCC statistics, RUMlog tracks the most interesting areas of the world for the most important awards: IOTA islands, CQ zones, ITU zones, Grid Squares, US States and German DOKs. Work CW, RTTY and other digital QSOs direct in the RUMlog application, using cocoaModem as interface. The data (log + trx) exchange with fldigi is supported. The WinKeyer and few microHAM devices are supported.